Amanda states " I love being part of the Stone Valley Dental Team, the staff and our patients are like a second family to me". On her time off work Amanda enjoys working out at the gym, camping, wake boarding, going out with her friends and visiting her family in Idaho. Amanda grew up in Concord, Ca. 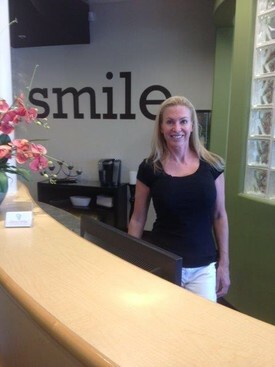 Cynthia has been a Registered Dental Hygienist for over 25 years. She has completed numerous advanced training courses including laser certification and invisalign training. Cynthia uses the very latest technology to provide excellent hygiene care to our patients. Her experience and gentle touch make her a valuable asset to our team. Cynthia states: "It is an honor to work for Dr. Hyland and Dr. Fong". When Cynthia is not practicing Dental Hygiene she enjoys working out at the gym, traveling, reading and loves watching movies. Cynthia lives in Danville with her other half Murrey and her two cats Rico and Jax.